One highly recommended day trip from the Gite is to the Bastide of Bassoues Gers. 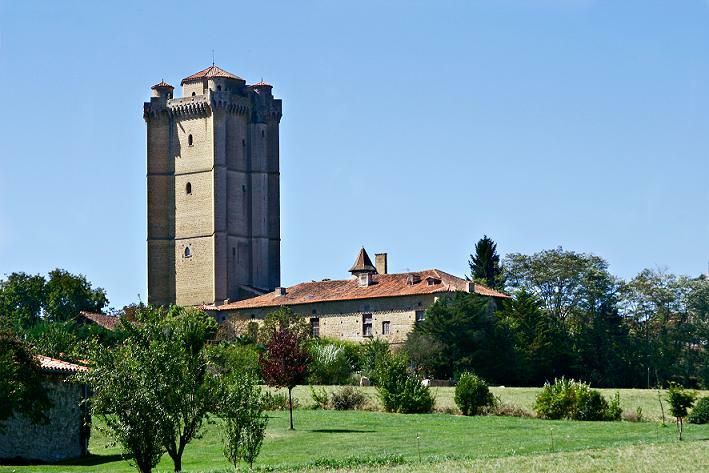 Bassoues is located on one of the best routes through Gers where you can discover the many fortified towns and villages in Gascony, modern day Gers. In France these are known as Bastides and Castelnaux. This route goes from Auch to Marciac and in many places goes along ridges which give wonderful views of the rolling Gascony countryside. The views in some places, and on clear sunny days, go all the way to the majestic snow topped Pyrenees. Bassoues Gers is located in the medieval area of Astarac. 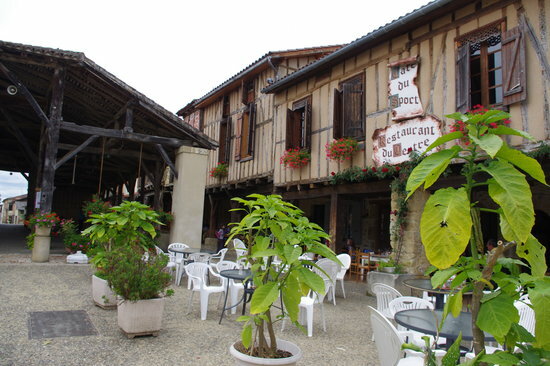 At its centre is the bastide of Bassoues, which is a major piece of military architecture from the 14th century. This towering structure can be seen from miles away and is even more impressive close up. The main tower of the bastide is over 140 feet high! The keep is both a defensive and residential building with beautiful gothic halls, a 197 step staircase to the top viewing platform which is crowned with a magnificent machicolation (which is a floor with openings between the supporting corbels of a battlement, through which rocks, boiling oil etc. could be dropped on attackers at the base of the wall). This keep tower is remarkable for the quality and integrity of its building, the care given to detail and the comfort of the rooms. This is evident in the attention to detail and impressive stonework even in the latrines, chimneys, stone sinks, etc. It is without doubt one of the best examples of this kind of keep tower in the south-west of France. If you feel energetic climb the 197 stairs and see the view from 140 feet high and you will be rewarded by a grandiose panorama of the countryside, the rolling hills of southern Gers and the snow-capped Pyrenees mountains. While you are in Bassoues Gers you should try the menu du jour at the Restaurant du Centre, it is one of our favourite French restaurants and we visit every time we stay at the Gite. There is also a little pottery shop across the road with wonderful and unique handmade jugs, fruit bowls etc.